Malaysiakini : COMMENT | The photo of the former prime minister, Najib Abdul Razak, donning army fatigues and accessorising the look with tan-coloured Timberland ankle boots, made a mockery of the uniform of the Armed Forces. 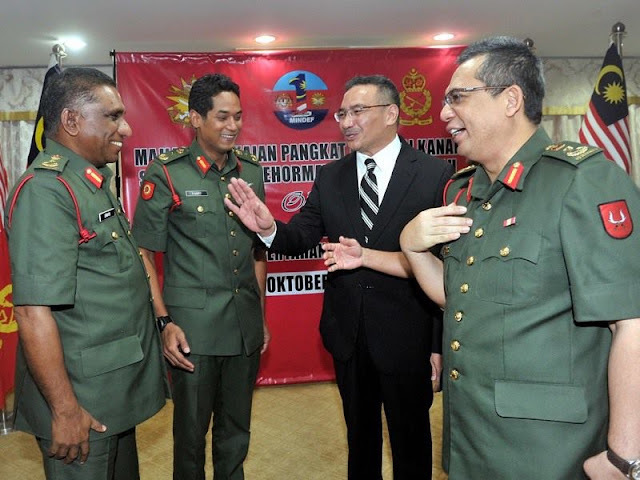 Just over a year ago, Lt-Col (Rtd) Mohd Idris Hassan and his peers complained that politicians were promoting themselves to the rank of General, Colonel or Captain, and also "commissioning" singers, actors, sportsmen and social activists. Mohd Idris said that none of them had fired a shot in defence of the nation, or even completed a day's military training. Some received Parachute Wings, without making a single jump. He was appalled when a few of these politicians had the audacity to wear the much coveted maroon beret of the airborne units.